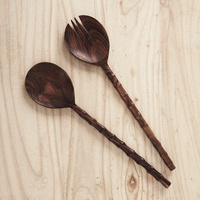 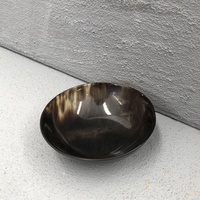 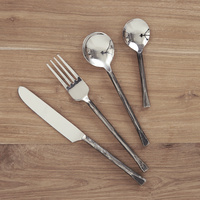 Handcrafted flatware made in India. 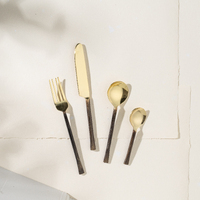 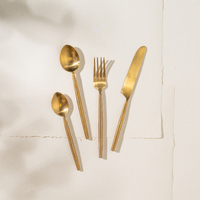 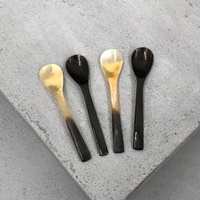 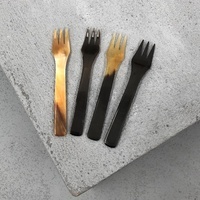 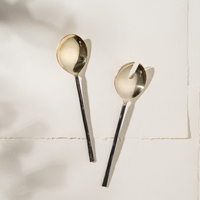 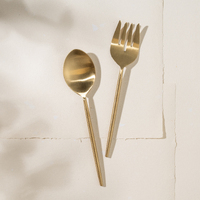 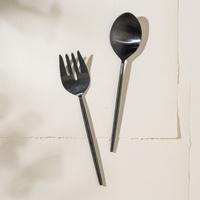 This flatware is made from stainless steel with brass plating. 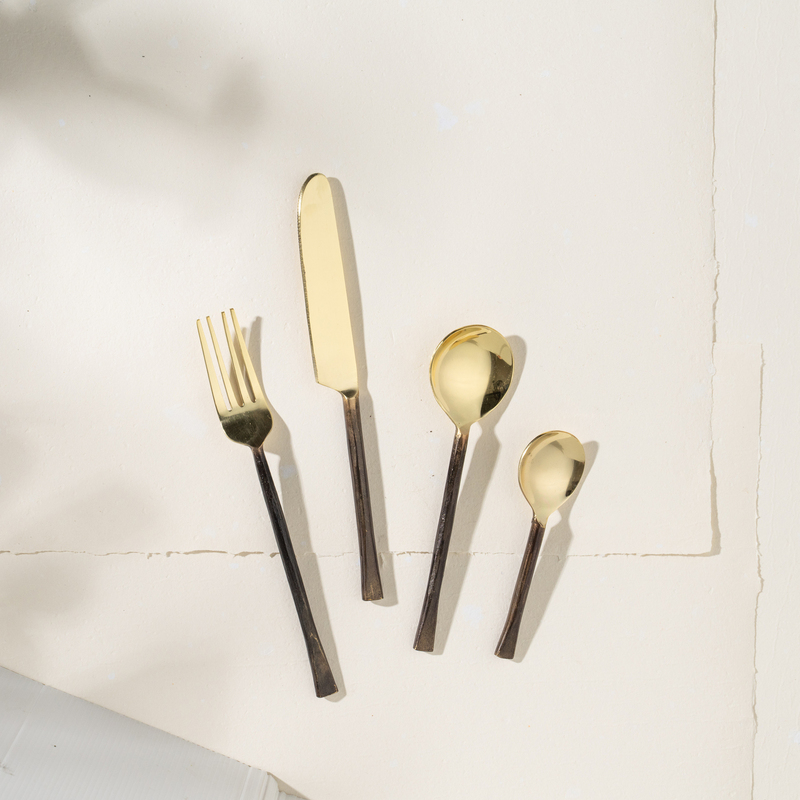 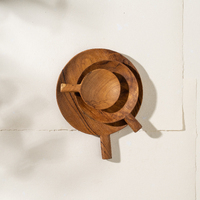 These unique, beautiful pieces are perfect for serving with style. 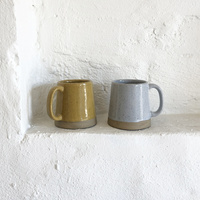 They are hand-wash only, given the care they deserve they will last forever.